The Best Deal in Town!!! Elevator was extremely helpful. Equipment to move furniture readily available. Super helpful when I needed to get a larger unit! Storage is Very Clean Great Area and location Nice Key an Alot of Cameras to make you feel Safer..Thks.. Rented a couple of 10x10 units while moving. Location is great, clean, easy to get around, free carts for moving items in. The free truck is another added bonus. Kara is very helpful and made the process very convenient. Will definitely use again if needed. Quick, friendly and convenient service. Prices are very competitive. Very nice and clean facility for storing automobiles. Staff is informative, positive helpful and friendly. After shopping multiple facilities and utilizing others, this place is the best. Keep up providing quality storage at a very fair price. Very pleased with my storage unit and the process. Prices are reasonable, workers are welcoming, and storage unit is spotless and clean. I'm very pleased! Called and went over within 1 hour. Clean facility. The storage options presented were clean. Chose a space, completed required information process, received access. No issues. Very good experience so far. No issues. The 10x25 storage unit was the perfect size for our needs. The freight elevator and the carts saved our backs. It worked out that we were the only ones unloading when we moved in. So far so good. Thanks! We had a great experience with our time here. Very clean and safe. We had 2 storage units.Kara was always willing to help with any of our needs. The trucks worked out great. Highly recommend. Very easy payment methods. Great employee crew ! Chris was extremely helpful and walked me through the whole process. The facility is also very tidy and easy to access. Great Company and customer service, especially like that they have a military discount even for disabled Vets. The free moving truck included is awesome as well!! Thanks Debby! The storage unit is very clean. I like that the floor is not on a cement slab so my belongings can go right on the floor. All of my questions were answered quickly via phone, email and in person. Highly recommend! 5 stars! Kara at the Waukesha location was very personable and great to work with. The entire process of renting my unit online was very simple and straight forward. I highly recommend Storage Master. Great service and clean units/office. We were able to get a unit and moving truck and move in the NEXT DAY! We had a fantastic experience renting a unit here. The office space is very clean, and Chris was very helpful. We were able to get a unit easily in our desired location with easy access to the stairs and elevator. Would rent again from here. Just got my storage unit yesterday . The process was incredibly easy. The use of a free truck to move was a bonus. I feel confident that my belongings will be safe from the elements. Highly recommend! Very easy to get started. Management was easy to assist with options for storage sizes as well as equipment. Accommodating for all needs for a first time storage user!! Chris and team at the Storage Master Bay View location are great! They rescued my wife and I and our belongings from a total disaster situation with another storage company in Milwaukee. Chris provided prompt and excellent customer service and even got us a better deal for the same size unit as we previously had. Would highly recommend if you’re looking for a safe and reliable spot for your possessions! The employees here are wonderful! Very helpful and kind! The storage and free truck are awesome! 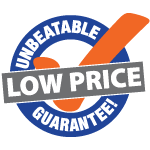 Storage Master is the best value for self storage in Southeast Wisconsin. 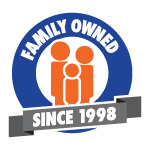 We operate several locations in and around Milwaukee, with one conveniently close to where you live. 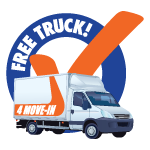 Our customers enjoy Free Truck Rentals with move-ins, 24-hour gated security, and the friendly and responsive service that you expect from a family owned and operated business. Whether you need low cost standard storage, climate control storage, or a large pull through space to store your boat or RV, we’ve got what you’re looking for! Access your unit from 7 a.m. to 7 p.m., 365 days a year. 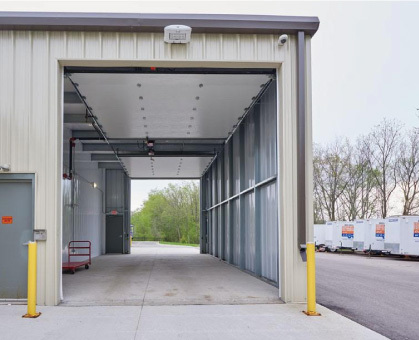 Storage Master offers clean, low cost, and easy to access self storage at its affordable storage facilities in the Metro Milwaukee area.